The man rated Sala P-W60L lightweight full man riding winch, offers an 18 metre wire rope. It is manually operated by simply rotating the handle to raise or lower personnel, the winch offered is supplied with a galvanised cable if you require stainless steel cable please contact us. The unit has a brake lowering facility and incorporates a safety overload, so that the wearer can not be injured upon recovery. 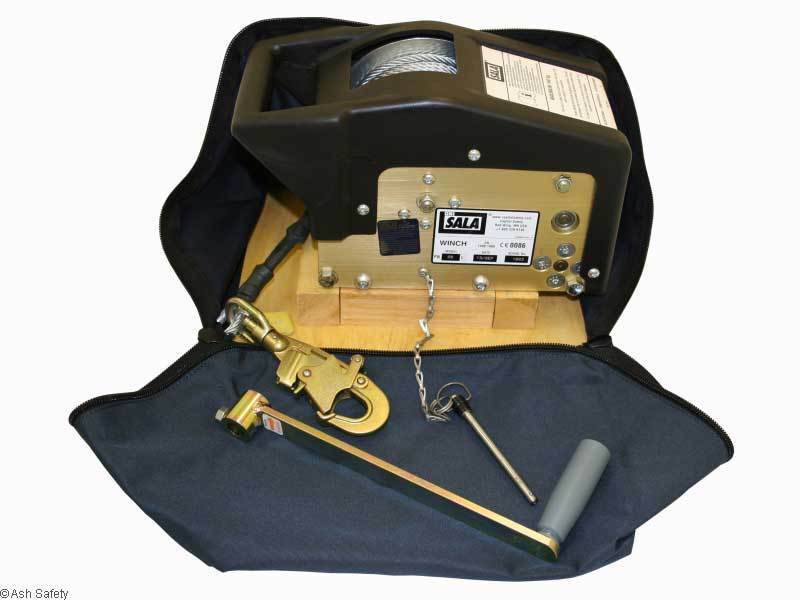 This winch has the Sala quick fit mount fitted as standard. 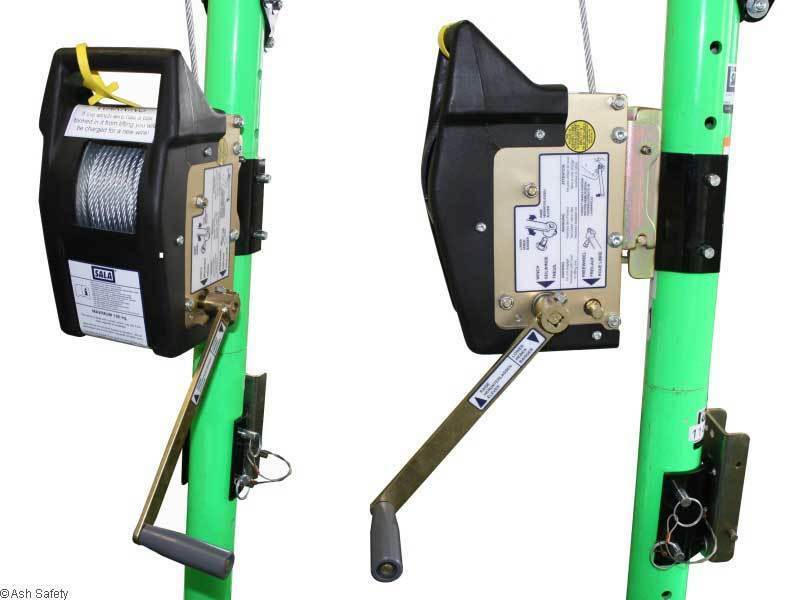 The unit has a 6:1 gear ratio with an average lifting speed of 3.8 metres per minute, the safety hook also offers an impact indicator to show if the unit has taken an impacted load, hence requiring a full service. There is a free wheel facility allowing the operative to descend step irons or ladder rungs at a speed that they are comfortable with. If the operative should slip or fall there is an over speed braked clutch for safety.